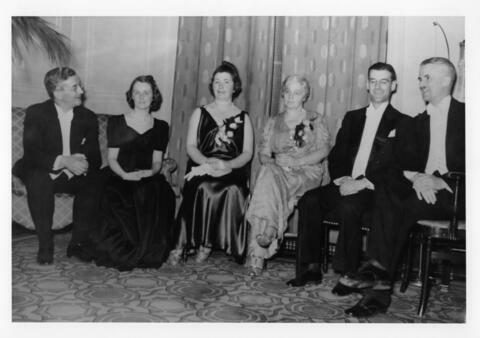 File consists of three copies of a photograph and a photographic negative of six people, three men and three women at the Convocation Ball in 1939. The photograph was selected for inclusion in the publication "The Lives of Dalhousie University, Vol. 2" by Peter B. Waite (page 85).